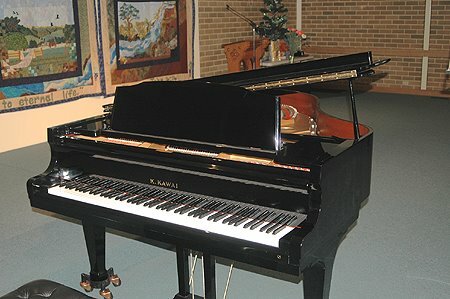 The Sydney and Southern Highlands Music Society (formerly known as "Robertson Village Music Society") has as its aim "Bringing fine music and song to the Southern Highlands". The Society will host visiting concert performers four times a year, on the last Wednesday of February, May, August and November. Inquiries may be made to Robert Goldsack, on 0404 444 099. The Sydney and Southern Highlands Music Society is closed. I have been asked by Robert Goldsack to close this Blog as, regrettably, the Sydney and Southern Highlands Music Society is closing down. As Robert's email said, it is the end of an era. We should express our gratitude to Ross McGlynn, who has largely been responsible for keeping the Concerts alive, with his generous financial support. And of course, I wish to congratulate Robert Goldsack for having created the Society in the first place, and for having helped bring many fine concerts to the Southern Highlands.